Our promotion has ended, however, check out our store for more special discounts and promos! 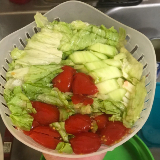 NO MORE CUTTING EACH INGREDIENT SEPARATELY - tomatoes, cucumbers, carrots, lettuce, onion & more... save your time & effort of cutting them all separately and be available faster to enjoy your fresh salad! 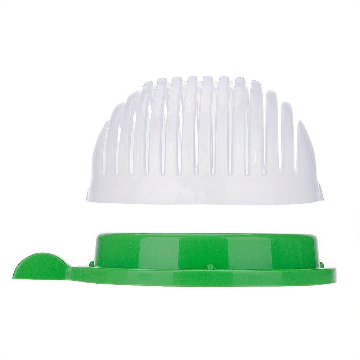 100% Money back guarantee: Even though we are so confident that you will love your 60 Second Salad Maker. However, if you are dissatisfied for any reason, you will get a 100% refund or replacement. BUY 3 & SHIPPING IS FREE! 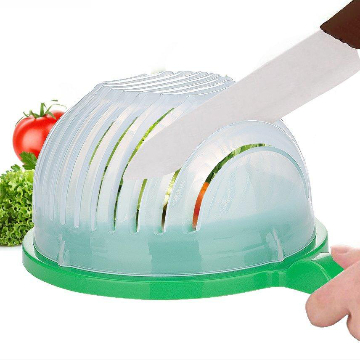 I like this salad cutter because the design is simple. 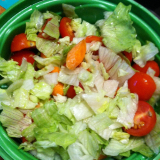 My family loves garden salads, and this is seriously a lifesaver! Heather C. - Results may vary from person to person. I've been using this for a couple of weeks now, and I LOVE it! 5 Stars!!! Jen N- Results may vary from person to person. 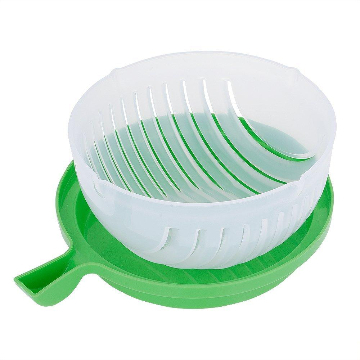 This product makes the entire salad process SO much easier and faster. 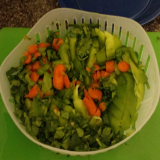 Simply throw everything into the container, hold it closed, and chop!! Kassandra M. - Results may vary from person to person. 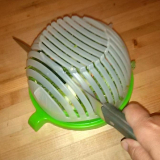 This salad cutter is nifty! 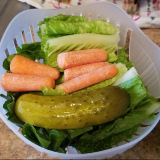 I can put just about any fruit or vegetable in there and I'm able to cute up little slices super quick and easy. Highly Recommended!! Laura G.- Results may vary from person to person. 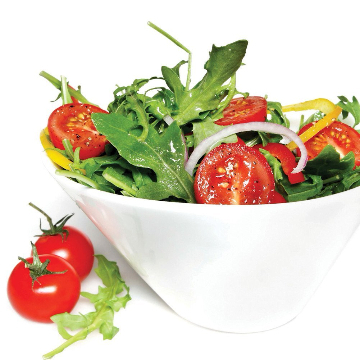 It is such a time saver, just stick your ingredients in and start slicing. 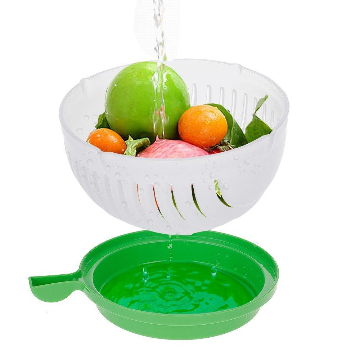 How easy it is and what a time saver for me. 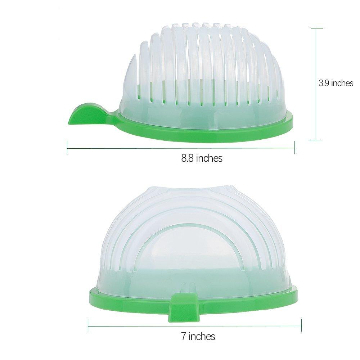 I would recommend anyone to buy this product. Renee M. - Results may vary from person to person. Our promotion has ended. Don't miss out on exclusive deals and offers! Visit and our store and shop trendy and fashionable items.